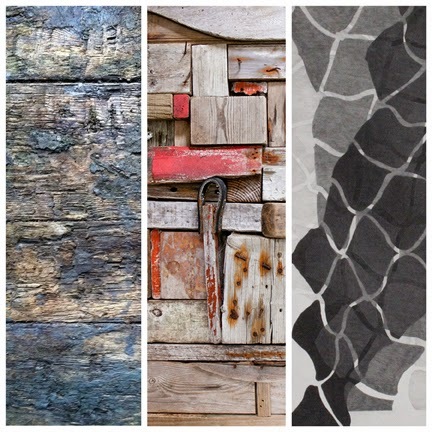 The Gallery at Porter Mill is pleased to present our October exhibition, Tracing Narratives featuring the artwork of Kyle Browne, Jenna Powell and Nina Samoiloff..
Tracing Narratives, curated by Jenna Powell, reinterprets the vernacular of a coastal region often characterized by quaint, historical imagery. Material and process provide the framework for the artist’s investigations, which also utilize found objects and historic natural and industrial sites. Their work reveals a timeline of narratives that meet at an intersection of archiving, geography and history. The artistic practices of Browne, Powell and Samoiloff include perfomative mapping that informs and connects their bodies with the matter they are working with. Browne and Samoiloff seek, sort and collect tidal detritus recalling the rhythmic toil of digging, gathering, and sorting shellfish. Powell works with historic sites and disappearing tools of industries and, like Browne and Samoiloff, restores the energy to abandoned rituals and sites by enacting the stages of invention and production. Tracing Narratives was originally proposed to the New Art Center's Curatorial Opportunity Program (COP), which enables first-time or established curators to explore experimental approaches in the presentation of contemporary art. The COP investigates contemporary culture through the visual arts and makes possible diverse curatorial visions through an open call process. Text in this press release was pulled directly from the original proposal. The Gallery at Porter Mill is located at 95 Rantoul Street Beverly MA 01915. Saturday and Sundays 12:00pm – 4:00pm and by appointment.